Taco Bell is an American chain of fast food restaurants based out of Irvine, California and a subsidiary of Yum! Brands, Inc. The restaurants serve a variety of Mexican inspired foods that include tacos, burritos, quesadillas, nachos, novelty and specialty items, and a variety of "value menu" items. As of 2018[update], Taco Bell serves more than 2 billion customers each year at 7,072 restaurants, more than 93 percent of which are owned and operated by independent franchisees and licensees. Taco Bell was founded by Glen Bell, an entrepreneur who first opened a hot dog stand called Bell's Drive-In in San Bernardino, California in 1948. Bell watched long lines of customers at a Mexican restaurant called the Mitla Cafe, located across the street, which became famous among residents for its hard-shelled tacos. Bell attempted to reverse-engineer the recipe, and eventually the owners allowed him to see how the tacos were made. He took what he had learned and opened a new stand under the name of Taco-Tia in late 1951 or early 1952, which sold tacos. PepsiCo purchased Taco Bell in 1978, and later spun off its restaurants division as Tricon Global Restaurants, which later changed its name to Yum! Brands. 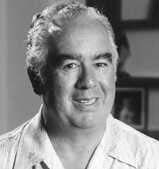 Taco Bell was founded by Glen Bell, who first opened a hot dog stand called Bell's Drive-In in San Bernardino, California in 1948 when he was 25 years old. In 1950, he opened Bell's Hamburgers and Hot Dogs in San Bernardino's West Side barrio. According to Gustavo Arellano, author of Taco USA: How Mexican Food Conquered America, Bell watched long lines of customers at a Mexican restaurant called the Mitla Cafe, located across the street, which attracted a dedicated customer base for its hard-shelled tacos. Bell began eating there regularly, attempting to reverse-engineer the recipe, and eventually won the confidence of the proprietors such that they allowed him to see how the tacos and other foods were prepared. In late 1951 or early 1952, he took what he had learned and opened a new stand, this time selling tacos under the name of Taco-Tia. Over the next few years, Bell owned and operated a number of restaurants in southern California including four called El Taco. Bell sold the El Tacos to his partner and built the first Taco Bell in Downey in 1962. Kermit Becky, a former Los Angeles police officer, bought the first Taco Bell franchise from Glen Bell in 1964, and located it in Torrance. The company grew rapidly, and by 1967, the 100th restaurant opened at 400 South Brookhurst in Anaheim. Original Taco Bell's featured walk-up windows only, with no indoor seating or drive-thru service. In 1968, its first franchise location east of the Mississippi River opened in Springfield, Ohio. In 1970, Taco Bell went public with 325 restaurants. In 1978, PepsiCo purchased Taco Bell from Glen Bell. 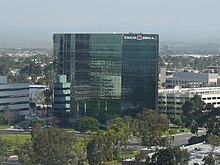 On the night of November 19, 2015, the original Taco Bell building in Downey was moved to the Taco Bell Corporate Headquarters in Irvine, California. Several locations in the Midwestern United States were converted from Zantigo, a Minneapolis, Minnesota-based Mexican chain which PepsiCo acquired in 1986. In 1990, the Hot 'n Now chain was acquired. Taco Bell sold Hot 'n Now to a Connecticut company in 1997. In 1991, Taco Bell opened the first Taco Bell Express in San Francisco. This concept is a reduced-size restaurant with a limited menu (primarily items priced under $1), meant to emphasize volume. Taco Bell Express locations operate primarily inside convenience stores, truck stops, shopping malls, and airports. Taco Bell began co-branding with KFC in 1995 when the first such co-brand opened in Clayton, North Carolina. The chain has since co-branded with Pizza Hut and Long John Silver's as well. In 1997, PepsiCo experimented with a new "fresh grill" concept, opening at least one Border Bell restaurant in Mountain View, California on El Camino Real (SR 82). In addition to a subset of the regular Taco Bell menu, Border Bell offered Mexican-inspired items like those available from Chevys Fresh Mex restaurants (then owned by PepsiCo), such as Chevys signature sweet corn tamalito pudding and a fresh salsa bar. Close to the time that PepsiCo spun off its restaurant business in 1997, the Border Bell in Mountain View was closed and converted to a Taco Bell restaurant which was still open in 2018. In September 2000, up to $50 million worth of Taco Bell-branded shells were recalled from supermarkets. The shells contained a variety of genetically modified corn called StarLink that was not approved for human consumption. StarLink was approved only for use in animal feed because of questions about whether it can cause allergic reactions in people. It was the first-ever recall of genetically modified food (GMO). Corn was not segregated at grain elevators and the miller in Texas did not order that type. In 2001, Tricon Global announced a $60 million settlement with the suppliers. They stated that it would go to Taco Bell franchisees and TGR would not take any of it. PepsiCo spun out Taco Bell and its other restaurant chains in late 1997 in Tricon Global Restaurants. With the purchased of two other chains, Tricon changed its name to Yum! Brands on May 16, 2002. Taco Bell began experimenting with fast-casual and urban concepts when it created U.S. Taco Co. and Urban Taproom in 2014. The menu consists of tacos with American fillings, and did not sell food sold in Taco Bell restaurants such as burritos. It was launched in Huntington Beach, California in August 2014. U.S. Taco Co. closed on September 15, 2015 so the company could focus on its new similar Taco Bell Cantina concept, which featured special menu items and served alcohol. It opened its first location a few days later in Chicago's Wicker Park neighborhood, followed by a location in San Francisco about a month later, located less than a block away from AT&T Park. In 2016, Taco Bell launched the Taco Bell Catina flagship store located on the Las Vegas strip. This 24-hour restaurant hosts a variety of unique features including alcohol, new menu items, and a DJ. It was announced in August 2017 that the store would begin hosting weddings. Taco Bell Cantina currently has locations in San Francisco, Berkeley, Chicago (2 locations), Las Vegas, Austin, Fayetteville, Cincinnati, Cleveland, Atlanta, Newport Beach, and plans to open soon in Somerville, MA. In March 2016, Taco Bell introduced private beta testing of an artificial intelligence bot on the messaging platform Slack designed to take orders of select menu items from local Taco Bell locations and have the orders delivered. Taco Bell plans to have a wider roll-out of this functionality in the coming months. In March 2005, the Coalition of Immokalee Workers (CIW) won a landmark victory in its national boycott of Taco Bell for human rights. Taco Bell agreed to meet all the coalition's demands to improve wages and working conditions for Florida tomato pickers in its supply chain. After four years of a tenacious and growing boycott, Taco Bell and Yum! Brands agreed to make an agreement called the CIW-Yum agreement with representatives of CIW at Yum! Brands headquarters. Previously, Taco Bell's hot sauces were only available in sauce packets at the Taco Bell chain itself. In February 2014, Taco Bell made its hot sauces available for purchase, sold in bottle form at grocery stores. In September 2016, Taco Bell opened a pop-up in New York City in the SoHo, Manhattan area called the Taco Bell VR Arcade. Taco Bell and VR fans could demo PlayStation VR, games, and food. In 2016, Taco Bell built a restaurant out of five cargo shipping containers for the Texas music festival, South by Southwest. Due to popularity, the franchise decided to move the restaurant to a lot in South Gate, California, and it opened to the public a year later. The restaurant features Taco Bell's full menu, with outdoor seating, a walk-up window, and a drive-thru, but no indoor seating unlike regular Taco Bell locations. Taco Bell announced plans in November 2017 to open 300 more urban and Cantina-style locations by 2022, with 50 to be located about New York City's five boroughs. Taco Bell announced plans to stay in its current corporate headquarters until 2030. In March 2001, Taco Bell announced a promotion to coincide with the re-entry of the Mir space station. They towed a large target out into the Pacific Ocean, announcing that if the target was hit by a falling piece of Mir, every person in the United States would be entitled to a free Taco Bell taco. The company bought a sizable insurance policy for this gamble. No piece of the station struck the target. In 2004, a local Taco Bell franchisee bought the naming rights to the Boise State Pavilion in Boise, Idaho and renamed the stadium Taco Bell Arena. Also, in 2004, Mountain Dew offered Taco Bell stores the exclusive right to carry Mountain Dew Baja Blast, a tropical-lime-flavored variety of the popular soft drink. In 2007, Taco Bell first offered the "Steal a Base, Steal a Taco" promotion—if any player from either team stole a base in the World Series, the company would give away free tacos to everyone in the United States in a campaign similar to the Mir promotion, albeit with a much higher likelihood of being realized. After Jacoby Ellsbury of the Boston Red Sox stole a base in Game 2, the company made good on the promotion on October 30, 2007. The promotion has been offered in several World Series, most recently in 2018, with Mookie Betts of the Red Sox successfully stealing a base in Game 1. In 2009, Taco Bell introduced a music video style commercial entitled "It's all about the Roosevelts" composed and produced by Danny de Matos at his studio for Amber Music on behalf of DraftFCB Agency. Featuring Varsity Fanclub's Bobby Edner, the rap music style commercial shows a group of friends gathering change as they drive toward Taco Bell. The commercial represents Taco Bell's first foray into movie theater advertising, featuring the ad during the opening previews of Transformers: Revenge of the Fallen and Public Enemies as well as screens in some movie theater lobbies. On July 1, 2009, Taco Bell replaced 20-year sponsor McDonald's as the fast-food partner of the NBA. Taco Bell and the NBA agreed on a 4-year deal allowing them to advertise on ABC, TNT and ESPN, and NBA-themed promotions. On July 21, 2009, Gidget, the Chihuahua featured in Taco Bell ads in the late 1990s, was euthanized after suffering a stroke. She was 15 years old. 2009 commercials for the "Frutista Freeze" frozen drink feature Snowball, an Eleonora Cockatoo noted for his ability to dance to human music. In an effort to promote its $2 Meal Deals, Taco Bell started a Facebook group in June 2010 to collect signatures on a petition that appeals to the Federal Reserve to produce more two-dollar bills. A large advertising push by Taco Bell was begun in late February 2011 in response to a consumer protection lawsuit filed against the company by an Alabama law firm. The promotion sought to counter allegations that the company falsely advertised the ratio of ingredients in its beef filling for its tacos. The spots featured employees and franchisees stating that the filling has always been a mixture of 88% beef and various spices and binders and nothing else. The ad followed several full-page print ads in the New York Times and other newspapers that featured the headline "Thank you for suing us." Additionally, the chain added a new social campaign using Twitter and Facebook. The company invested heavily in the campaign, spending more than $3 million (USD) putting out its message—about 20 percent more than the company usually spends on an advertising program. The various campaigns came shortly before the company began its official response to the suit in the United States District Court for the Central District of California and were designed to bring public opinion into their camp. Various analysts stated that the company would have been better off using a grass-root campaign that involved in store advertising and other non-broadcast media. The suit was eventually withdrawn, and the company continued its advertising response by publicly requesting an apology from the suing firm of Beasley Allen. Analyst Laura Ries, of marketing strategy firm Ries & Ries, stated she believed Taco Bell's latest response was a mistake. She commented that reviving memories of a suit that the majority of the public had forgotten after the initial burst of publicity was the wrong strategy from Taco Bell. In March 2012, Taco Bell teamed up with Frito-Lay and created the Doritos Locos Tacos, which is a taco with a Dorito Nacho Cheese flavored taco shell. In early 2012, Taco Bell announced they would be launching a new line of breakfast menu items including a Johnsonville Foods sausage and egg wrap, breakfast burritos, hash browns, Cinnabon Delights, Seattle's Best Coffee, and orange juice. Taco Bell is releasing a Mountain Dew infused drink called Mountain Dew A.M. The Cool Ranch Doritos taco began being sold in stores March 7, 2013. Shortly before launch, Taco Bell launched a promotion advertising that fans could get the new flavor at its stores a day early if they "just asked" on March 6. However, they neglected to inform the majority of their stores of this – leading to numerous complaints on its social media sites and news sites from disappointed consumers who were unable to obtain the new taco. On August 6, 2013, Taco Bell announced it was expanding its test market of waffle tacos to about 100 restaurants in Fresno, California, Omaha, Nebraska and Chattanooga, Tennessee, starting August 8. The waffle taco includes scrambled eggs, sausage and a side of syrup. It was the top selling item during breakfast hours at the five Southern California restaurants where they were tested earlier in 2013. The breakfast menu started on March 27, 2014. Other items include A.M. Crunchwrap, Cinnabon Delights, breakfast burrito, A.M. grilled sausage flatbread melt, hash browns, coffee and orange juice. The ad campaign which began March 27 used twenty-five men who were named Ronald McDonald, a reference to the famous clown of a rival chain. Another commercial advertising the Waffle Taco has the narrator singing "I've been eating Egg McMuffins since 1984. But when I saw Taco Bell made a Waffle Taco, I figured I would get with the times" set to the tune of "Old MacDonald Had a Farm", another shot at the rival hamburger chain. On April 28, 2014, Taco Bell ridiculed McDonald's for its old muffins in a breakfast campaign devised by Taylor. The advertisement states that the McMuffin belongs in 1984. In October 2014, Taco Bell launched Pink Strawberry Starburst Freeze for a limited time. In August 2016, Taco Bell brought back its Pink Strawberry Starburst Freeze. In October 2015, Taco Bell launched a certified vegetarian menu. In August 2016, Taco Bell announced it would begin testing a mashup known as Cheetos Burritos at select Taco Bell restaurants On September 19, 2016, Taco Bell launched Airheads Freeze, a drink inspired by the candy Airheads White Mystery, and allow people to guess its flavor on social media. On September 15, 2016, Taco Bell introduced the Cheddar Habanero Quesarito, a quesadilla shelled burrito. In April 2017, Taco Bell announced that it will begin testing the Naked Breakfast Taco in Flint, Michigan in mid-April. The breakfast taco, which uses a fried egg as the shell for potato bites, nacho cheese, shredded cheddar, and bacon or sausage crumble. In 2017, the company released the Naked Chicken Chalupa that uses a chalupa shell made from chicken, using a similar idea to the Double Down and later that year the Naked Chicken Chips, which are chicken nuggets shaped like chips with nacho cheese. In July 2017, Taco Bell announced a partnership with Lyft in which Lyft passengers in Orange County, California can request "Taco Mode" on their way to their destination from 9 PM-2 AM, having a stop at Taco Bell. The program was cancelled after much negative feedback from drivers. On September 21, 2018, Taco Bell announced National Taco Day celebrating its global reach outside of the United States, to be celebrated in 20 countries. In January of 2019, Taco Bell nearly doubled its television advertising spending to 64 million USD. On August 18, 2014, Taco Bell launched a new value menu called Dollar Cravings. Replacing the old Why Pay More menu, Dollar Cravings currently contains eleven thirteen food items all priced a United States dollar. It has since been renamed to just "Cravings Value Menu", as some of the items have increased in price. In April 2019, they introduced a "loaded nacho taco" for a dollar. One of Taco Bell's original 1960s menu items was the Chiliburger, later known as the Bell Burger, then the Bell Beefer. This was a loose meat sandwich with taco-seasoned ground beef, shredded cheese and lettuce, diced onions and tomato with mild red sauce, served on a steamed hamburger bun. The sandwich was removed from the menu sometime in the late 1980s to keep a strictly Tex Mex-inspired line up. Other discontinued items include: Enchirito (name revived for a different menu item) Taco Lite; Taco Grande; Chilito (Chili Cheese Burrito); Beefy Crunch Burrito; Beefy Melt Burrito; Seafood Salad; Chicken Fiesta Burrito; Potatorito; Volcano Taco; BLT Taco; Cheesarito; Cinnamon Crispas; Nacho Crunch Grilled Stuft Burrito; Chicken Caesar Grilled Stuft Burrito; Grilled Stuft Nacho; Fully Loaded Nachos; Spicy Chicken Crunchwrap Supreme; Blackjack Taco. In 2003 Taco Bell entered the Chinese market by opening a restaurant in Shanghai's People's Square named "Taco Bell Grande". Three more TBG restaurants opened before they were closed in 2008. Taco Bell relaunched in the Chinese market when a store opened in Pudong, Shanghai in late 2015. India's first Taco Bell outlet opened at the Mantri Square mall, Bangalore. Another outlet at the Gopalan Mall, Bangalore opened in February 2011. In July 2017, Taco Bell opened an outlet in Colombo, Sri Lanka. Taco Bell once operated shops at Tokyo and Nagoya in the 1980s but withdrew several years later Since then, there were shops only at United States Forces Japan bases. In 2015, Taco Bell returned to the Japanese market with a new shop in the downtown area of Shibuya, Tokyo. It has "Taco rice" and "Shrimp and avocado burrito" as its original menu. There are currently two locations in Seoul, in the Itaewon and Hongdae districts, which attract the most foreigners and college students. The two branches opened in the summer of 2010, Itaewon's branch coming first. A Taco Bell had long been a presence at the U.S. Army's Yongsan Garrison, which is off-limits to non-military personnel, and for a time there was a tongue-in-cheek grassroots campaign by non-Korean, non-military foreigners in Seoul to get another Taco Bell location. Taco Bell opened its first Philippine branch on October 30, 2004, at the Gateway Mall in Cubao, Quezon City. They now have one on the ground floor and one on the fourth floor in the food court at the Gateway Mall. There is also a branch at the TriNoma mall in Quezon City. Taco Bell in Singapore existed for a number of years, mostly as combination stores with KFC such as the one that operated at the Funan Digital Life Mall, but in 2008, Taco Bell completely pulled out of Singapore. The United Kingdom was the first European country with a Taco Bell. In 1986, a location was opened in London on Coventry Street (between Leicester Square and Piccadilly Circus) followed by a second location in Earls Court near the Earl's Court tube station. One other store opened in Uxbridge but all closed in the mid-1990s. In 1994, the university food provider Compass announced plans for outlets on its university and college sites. However, only one store was opened at Birmingham University, which is now closed. After the Birmingham University branch closed, there were only two Taco Bell branches in the UK, at the Strategic Air Command and United States Air Force bases at RAF Mildenhall and RAF Lakenheath. Access is restricted to relevant service personnel. In the late 2000s, Yum! Brands announced that it was reopening Taco Bell locations in the United Kingdom as part of a large planned expansion into Europe. Yum! is taking advantage of the recent recession which led to increasing sales at other fast food outlets; it also said that there was now a greater awareness of Mexican food in the UK and that it can be successful with improved menu offerings and marketing. The first new store opened at the Lakeside Shopping Centre in Essex on June 28, 2010. Another store opened in Basildon, Essex on November 29, 2010, and a third in the Manchester Arndale Food Court on November 7, 2011. On March 1, 2013, it was announced that trace amounts of horse meat from a European supplier had been found in various food products, including Taco Bell's beef in the UK, hampering the chain's growth in that already-stubborn market. As of August 2017, there are 17 Taco Bell branches in the United Kingdom, all of which are in England and outside of London. The first Scottish branch was opened in Glasgow in December 2017. In the early 1990s, PepsiCo opened several Taco Bell locations inside the Moscow metro system, including Metro Park Kulturi and Metro Komsomolskaya. This experiment lasted only a few years but these locations live on under different ownership and a different name. On June 15, 2017, Finnish restaurant company Restel [fi] announced that it is bringing Taco Bell to Finland. The first restaurant opened in central Helsinki on November 9, 2017. Restaurants in Sello and Iso Omena malls in Espoo opened later in November 2017. Finland is the first country to include pulled oats (a meat substitute) in the menu. Taco Bell in Iceland is operated as a part of the KFC establishment in Hafnarfjörður, suburb of Reykjavík. It was established in late 2006, after the departure of the U.S. Navy from Naval Air Station Keflavik. A second location opened in the Ártúnshöfði part of Reykjavík in November 2008. The first Taco Bell store opened in Romania's capital, Bucharest, on October 12, 2017, and there are currently 5 stores on the Romanian market. For the time being, Romania is the only country in Eastern Europe that has a Taco Bell store. A Taco Bell opened in Cyprus in December 2009 in Limassol at the MY MALL Limassol. Further restaurants are planned to be opened within the next 18 months (probably also in Cyprus' capital Nicosia). Greece's first Taco Bell opened in Athens upon the grand opening of the newly constructed Athens Metro Mall on November 30, 2010. The restaurant closed in August 2012 and the chain withdrew from the Greek market due to the country's recession. The first Polish Taco Bell store was opened in 1993. Following an aggressive campaign of expansion, Taco Bell's efforts soon withered, and the chain withdrew from Poland shortly thereafter. On April 4, 2017, Taco Bell opened its first restaurant in Eindhoven, Netherlands. On October 12, Taco Bell opened another restaurant in Tilburg. A third restaurant has opened in Breda. Spain is the most important market for Taco Bell inside Europe. There are 32 Taco Bell branches in Spain. The first Taco Bell in Spain was opened at Naval Station Rota in 2004 and is available only to those authorized to access the naval base. The first Taco Bell for the public was opened in the Islazul Shopping Mall, Madrid, in December 2008. Yum! Brands announced that it would open additional restaurants in Spain in early 2009 as part of a test trial for the European market. The second location of Taco Bell in Spain was opened at the La Vaguada Shopping Mall, Madrid (03/2010). Taco Bell announced, at least, 10 new restaurants through Spain. As of March 2017, there are 32 Taco Bell restaurants in Spain; 13 of them are in Madrid, and the other 19 Taco Bell are distributed through Valencia (5), Málaga (2), Barcelona (2), Zaragoza (2), Alicante (2) and Jerez de la Frontera, Murcia, Cádiz, Granada, Sevilla and Naval Station Rota with 1 restaurant. A Taco Bell opened in the United Arab Emirates in November 2008 in Dubai at the Dubai Mall. A fourth UAE location was also planned for Bawadi Mall in the city of Al Ain. As of February 2012, the locations at Dubai Mall, Deira City Centre, and Mirdif City Centre have all closed and Taco Bell has completely pulled out of the UAE market. Taco Bell has been present in Canada since 1981 with the first store opening in Windsor, Ontario. There are currently Taco Bell locations in 8 of the 10 Canadian provinces: British Columbia, Alberta, Saskatchewan, Manitoba, Ontario, Quebec, New Brunswick, and Nova Scotia. For some time it was possible to order draft beer with one's order. Taco Bell offers free soda refills in its stores. On March 31, 2011, Priszm, owner of Taco Bell (Canada), went into bankruptcy protection in Ontario and British Columbia. On May 6, 2011, Priszm Income Fund was delisted from the Toronto Stock Exchange for failure to meet the continued listing requirements. Since then, some Taco Bell restaurants have been closed down including those in Guelph, Hamilton, and Cambridge, Ontario among others. Taco Bell has attempted to enter the Mexican market twice. After a highly publicised launch in Mexico City in 1992, all the restaurants were closed two years later. 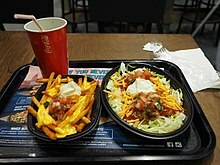 In September 2007, Taco Bell returned to Monterrey, projecting an American image with an Americanized menu that included french fries, but it closed in January 2010 due to low patronage. Taco Bell first opened in Australia in September 1981, but Taco Bell was ordered to change its name after the owner of a local restaurant successfully sued Taco Bell for misleading conduct. The local restaurant was called "Taco Bell's Casa" and had been operating in Australia since the 1970s. The owner successfully argued that Sydneysiders would confuse the takeaway chain with his restaurant, and this would damage his reputation. Taco Bell later opened in 1997 in Australia with a store in the cinema district on George Street, Sydney and a year later in 1998 within a few KFC stores in the state of New South Wales, but by 2005, the Taco Bell brand was pulled out of the country. On September 13, 2017, Collins Foods announced that Taco Bell would return to the Australian market, with their first store being situated in the Brisbane suburb of Annerley in Queensland using a refurbished Sizzler restaurant which had closed earlier that year. The Annerley store opened on Saturday November 4, 2017 with about 50 people camping out overnight to be first to try the store. The store has 96 seats in indoor and outdoor settings and has an open kitchen so diners can see their food being prepared. There is also a drive-through. The menu appears to be a subset of the US menu based on food tasting research undertaken by the company. The Annerley store does not have a breakfast menu, but offers beers and margaritas similar to their Mexican food competitors in the Australian market. In 2018, Collins Foods signed a development deal with Yum! Brands to open over 50 Taco Bell restaurants across Australia between January 2019 and December 2021. There are 15 outlets in Brazil, mainly in the São Paulo area. Taco Bell has fourteen stores in Chile, thirteen of which are operated in conjunction (and in the same facilities) with Pizza Hut. All Taco Bell stores are in shopping malls located mainly in Santiago. There are four outlets in the Bogotá area in Colombia. Taco Bell is present in the Dominican Republic, Aruba, Costa Rica, Colombia, Ecuador, Panama and on AAFES military bases in Germany, Kosovo, Iraq, Brazil, Guatemala, and El Salvador. Man wearing a white Taco Bell hooded sweatshirt, part of the 2017 Forever 21 Taco Bell collection. In 2017, Forever 21 produced a clothing line in partnership with Taco Bell, featuring branded T-shirts and sweatshirts, as well as bodysuits made to look like Border Sauce packets. ^ a b "Yum! Brands, Annual Report 2015" (PDF). yum.com. Archived (PDF) from the original on April 15, 2016. Retrieved April 17, 2016. ^ a b c "Company Information". Taco Bell. August 9, 2011. Archived from the original on August 12, 2011. Retrieved August 16, 2011. ^ a b c Miranda, Carolina (April 23, 2012). "The California Taco Trail: 'How Mexican Food Conquered America'". NPR. Archived from the original on August 28, 2014. Retrieved September 13, 2014. ^ a b c Moskin, Julia (April 30, 2012). "How the Taco Gained in Translation". The New York Times. Archived from the original on September 13, 2014. Retrieved September 13, 2014. ^ Wedell, Katie (August 3, 2015). "Local restaurateur remembered as 'Mayor of Main Street'". Springfield News-Sun. Cox Media Group. Archived from the original on August 17, 2016. Retrieved August 2, 2016. ^ Los Angeles Times (November 20, 2015). "Adios, Taco Bell: Original store moves from Downey to Irvine in late-night run". latimes.com. Archived from the original on November 21, 2015. ^ "PepsiCo to merge Zantigo's, Taco Bell," San Jose Mercury News, October 2, 1986, p. 10C. ^ Johnson, Greg (April 26, 1995). "Taco Bell Cools on Hot 'n Now Burger Chain : Fast food: Company plans to sell most of its hamburger outlets to franchisees and licensees. Its only California eatery is in O.C." Los Angeles Times. Archived from the original on September 17, 2016. Retrieved October 31, 2017. ^ Richardson, James M. (December 7, 1998). "No Quiero Taco Bell: Did new parent drive its Hot 'n Now drive-through burger chain into the ground with bad ideas, or did franchise fail to keep up?". Miami Daily Business Review. Archived from the original on January 31, 2009. Retrieved June 13, 2008. ^ "Taco Bell Express makes fast food look slow". Toledo Blade. November 21, 1991. Retrieved July 11, 2009. ^ "Co-branding trend has U.S. franchisees seeing double: veteran KFC-Taco Bell franchisee Al Luihn helped pioneer the Yum system's multibranding trend, showing dos and don'ts of ..." Findarticles.com. Archived from the original on July 8, 2012. ^ "Advantages & Disadvantages of Co-Branding Among Franchises". Houston Chronicle. March 4, 2012. Archived from the original on October 17, 2012. Retrieved October 18, 2012. ^ Dukcevich, Davide (March 12, 2002). "Tricon To Blend Taco Bell, Long John Silver's". Forbes. Archived from the original on February 12, 2018. Retrieved February 11, 2018. ^ "TRICON GLOBAL RESTAURANTS, Form 10-12B/A, Filing Date Aug 20, 1997". secdatabase.com. Retrieved May 4, 2018. ^ "Taco Bell in Mountain View, California | 950 W El Camino Real". tacobell.com. Archived from the original on March 6, 2018. Retrieved March 5, 2018. ^ "TRICON GLOBAL RESTAURANTS, Form 10-Q, Quarterly Report, Filing Date Oct 17, 2000". secdatabase.com. Retrieved May 4, 2018. ^ "TRICON GLOBAL RESTAURANTS, Form 8-K, Current Report, Filing Date Feb 15, 2001". secdatabase.com. Retrieved May 4, 2018. ^ ABC News (2015). "Taco Bell Will Replace Taco Shells from Restaurants." Archived October 23, 2017, at the Wayback Machine Sept. 23. ^ Fulmer, Melinda (July 3, 2012). "Taco Bell Recalls Shells That Used Bioengineered Corn". Los Angeles Times. Archived from the original on January 31, 2014. Retrieved January 30, 2014. ^ "Taco Bell Rings up $60 Million for StarLink-Contaminated Shells". Naturalproductsinsider.com. June 12, 2001. Archived from the original on October 20, 2013. Retrieved January 30, 2014. ^ "TRICON GLOBAL RESTAURANTS, Form 10-12B/A, Filing Date Jul 28, 1997". secdatabase.com. Retrieved May 4, 2018. ^ Johnson, Greg (August 1, 1997). "Taco Bell's Parent to Be Based in Louisville, Ky". Los Angeles Times. Archived from the original on November 11, 2015. Retrieved November 9, 2015. ^ "YUM! Brands, Form 8-K, Current Report, Filing Date May 20, 2002". secdatabase.com. Retrieved May 4, 2018. ^ "Tricon to Change Name to Yum! Brands Inc". Entrepreneur. Business Wire. May 20, 2002. Archived from the original on October 29, 2017. Retrieved October 28, 2017. ^ Luna, Nancy (April 23, 2014). "Taco Bell to unveil U.S. Taco, a fast-casual taco mash-up concept". The Orange County Register. Archived from the original on April 27, 2014. Retrieved May 8, 2014. ^ "U.S. Taco closes: Taco Bell shutters experimental upscale eatery in Huntington Beach". Orange County Register. September 17, 2015. Archived from the original on December 10, 2017. Retrieved December 9, 2017. ^ "Inside Taco Bell's 24-Hour Las Vegas Cantina, Complete With Alcohol And DJ". Retrieved November 2, 2017. ^ "Taco Bell Cantina Weddings Come True Starting Today". Retrieved November 2, 2017. ^ "Somerville May Get a Boozy Taco Bell Cantina". Eater Boston. Archived from the original on December 10, 2017. Retrieved December 9, 2017. ^ Statt, Nick (April 6, 2016). "Taco Bell built a bot that will order Crunchwrap Supremes for you". The Verge. Archived from the original on April 8, 2017. Retrieved May 30, 2017. ^ Solnit, David (August 1, 2005). "Taco Bell Boycott Victory—A Model of Strategic Organizing : An interview with the Coalition of Immokalee Workers". leftturn. Archived from the original on June 18, 2015. Retrieved June 2, 2015. ^ Schlosser, Eric (April 6, 2005). "A Side Order of Human Rights". The New York Times. Archived from the original on April 6, 2005. Retrieved March 23, 2009. ^ "Taco Bell Hot Sauce Is Now Available By The Bottle". The Huffington Post. February 24, 2014. Archived from the original on September 19, 2016. Retrieved September 13, 2016. ^ Christine Birkner (September 15, 2016). "Taco Bell's NYC Pop-Up VR Arcade Features Lots of Tacos and a Virtual Shark Attack". Adweek. Archived from the original on September 16, 2016. Retrieved September 16, 2016. ^ "World's first Taco Bell in a shipping container coming to Southern California". Orange County Register. October 20, 2016. Archived from the original on December 11, 2017. Retrieved December 10, 2017. ^ "Taco Bell To Open 50 New York City Locations By 2022". Midtown Manhattan, NY Patch. September 15, 2017. Archived from the original on December 10, 2017. Retrieved December 9, 2017. ^ "Free Tacos for U.S. If Mir Hits Floating Taco Bell Ocean Target – Taco Bell sets 40 by 40 foot target in South Pacific for Mir's Re-Entry" (Press release). Taco Bell. March 19, 2001. Archived from the original on August 3, 2009. ^ Rush, Adam (October 26, 2004). "Boise State backs Taco Bell deal; Education: Students, faculty plan to meet today to consider protest related to farmworker treatment". Idaho Press-Tribune. Archived from the original on March 9, 2005. ^ Tanner, Steve. "Review: Mountain Dew Baja Blast". BevReview. Archived from the original on March 14, 2012. Retrieved March 27, 2012. ^ Rindone, Marisa (October 29, 2007). "Taco Bell's Big Enchilada". Forbes. Archived from the original on October 30, 2010. Retrieved February 9, 2010. ^ "Taco Hall of Fame". tacobell.com. Archived from the original on October 24, 2018. Retrieved October 23, 2018. ^ "Brother, can you spare a chalupa?". OurPDX. November 21, 2008. Archived from the original on July 23, 2011. Retrieved February 9, 2010. ^ "Shawn Kemp By The Fans". The Plain Dealer. June 12, 2008. Archived from the original on June 28, 2011. Retrieved February 9, 2010. ^ "Taco Bell Makes Big-Screen Debut". QSR Magazine. June 29, 2009. Archived from the original on February 1, 2013. Retrieved February 9, 2010. ^ "McDonald's out, Taco Bell in as NBA's fast-food partner". ESPN. July 1, 2009. Archived from the original on July 4, 2009. Retrieved February 9, 2010. ^ "Taco Bell Chihuahua Dies". CBS News. July 22, 2009. Archived from the original on January 20, 2013. Retrieved July 29, 2012. ^ Renderman, Vanessa (July 26, 2009). "Region's famed dancing bird hawks Taco Bell". nwitimes.com. Archived from the original on June 5, 2011. Retrieved July 28, 2009. ^ Strauss, Daniel (June 11, 2010). "Taco Bell asks Fed for Jeffersons". Politico. Archived from the original on March 4, 2016. ^ "Taco Bell launches saucy ad campaigns against meat allegations". The Independent. London. March 3, 2011. Archived from the original on March 6, 2011. Retrieved March 6, 2011. ^ Chapman, Michelle (February 28, 2011). "Taco Bell to fight meat filling claims via TV ads". The Daily Breeze. Associated Press. Archived from the original on July 8, 2011. Retrieved March 6, 2011. ^ Schreiner, Bruce (April 20, 2011). "Taco Bell to law firm: 'Would it kill you' to apologize?". Tacoma, Washington: MSNBC. Associated Press. Archived from the original on April 24, 2011. Retrieved April 22, 2011. ^ "Taco Bell introduces Dorito shell". Daily News. New York. March 7, 2012. ^ "Make an early run for the border! Taco Bell now serves breakfast". Daily Mail. Associated Press. January 27, 2012. ^ "Taco Bell's breakfast drink = Mountain Dew and orange juice". Fox News Channel. May 29, 2012. Archived from the original on August 10, 2015. ^ "Taco Bell to offer more upscale items". Fox News Channel. Associated Press. June 6, 2012. Archived from the original on June 19, 2015. ^ Luna, Nancy (September 29, 2012). "Taco Bell Expanding Chef-Designed Menu". The Orange County Register. p. Business 3. Archived from the original on September 29, 2012. Retrieved September 29, 2012. ^ "Taste Test: Taco Bell Announces Arrival Date for Cool Ranch Doritos Locos Tacos". ABC TV. Retrieved February 14, 2013. ^ "Taco Bell Should Probably Have Told Its Restaurants About Cool Ranch Doritos Taco Going On Sale Early". The Consumerist. Archived from the original on June 7, 2015. Retrieved June 16, 2015. ^ "Fans outraged as Taco Bell delays Cool Ranch Doritos tacos". Fox News Channel. March 7, 2013. Archived from the original on September 24, 2015. Retrieved June 16, 2015. ^ "Taco Bell to stop selling kids' meals". WHEC TV. Archived from the original on October 16, 2013. Retrieved July 23, 2013. ^ "Taco Bell Expanding Test of Waffle Taco, Breakfast". Associated Press. Archived from the original on August 9, 2013. Retrieved August 6, 2013. ^ Wilson, Carl (March 12, 2014). "Short Orders: B. Christopher's opens this week". News & Record. Retrieved March 12, 2014. ^ DeCwikiel-Kane, Dawn (April 6, 2014). "Oak Ridge's Ronald McDonald in Taco Bell ad". News & Record. Retrieved April 6, 2014. ^ a b Morrison, Maureen. "Taco Bell Ridicules McDonald's Egg McMuffin in New Spot". Advertising Age. Archived from the original on May 4, 2014. Retrieved May 4, 2014. ^ "Taylor Partnered With Taco Bell to create a "Rolling Thunder" campaign". PRNews Wire. Archived from the original on August 18, 2017. ^ Palmer, Roger C. (2007). The Bar Code Book: A Comprehensive Guide to Reading, Printing, Specifying, Evaluating, and Using Bar Code and Other Machine-Readable Symbols. Trafford Publishing. ISBN 978-1-4251-3374-0. ^ Nudd, Tim. "Taco Bell Sings 'Old McDonald,' Says the Egg McMuffin Belongs Back in 1984". Adweek. Archived from the original on May 4, 2014. Retrieved May 4, 2014. ^ "Taco Bell Unveils New Starburst Strawberry Freeze". www.brandeating.com. Archived from the original on September 15, 2016. Retrieved September 10, 2016. ^ "The Pink Strawberry Starburst Freeze Is Back at Taco Bell". Archived from the original on August 24, 2016. Retrieved September 10, 2016. ^ Khushbu Shah (October 1, 2015). "Taco Bell Launches Certified Vegetarian Menu". Eater. Archived from the original on October 3, 2015. ^ Bulow, Alessandra. "Taco Bell tests out Cheetos burritos, because we need more junk food". TODAY.com. Archived from the original on September 5, 2016. Retrieved August 31, 2016. ^ Whitten, Sarah (September 7, 2016). "Taco Bell wants you to guess the flavor of its next candy-inspired Freeze". CNBC. Archived from the original on September 9, 2016. Retrieved September 10, 2016. ^ Whitten, Sarah (September 15, 2016). "Taco Bell kicks up the heat with its new Cheddar Habanero Quesarito". CNBC. Archived from the original on September 16, 2016. Retrieved September 17, 2016. ^ Clint Rainey (April 6, 2017). "Taco Bell Refused to Let Starbucks Win This Week's Most-Gimmicky-Food Award". GRUBSTREET. Archived from the original on April 12, 2017. Retrieved April 12, 2017. ^ Kate Taylor (April 6, 2017). "We tasted Taco Bell's new breakfast taco that uses a fried egg as the shell — here's what it's like". Business Insider. Archived from the original on April 13, 2017. Retrieved April 12, 2017. ^ Review: Naked Chicken Chips from Taco Bell Archived June 16, 2017, at the Wayback Machine Retrieved May 23, 2017. ^ LARSON, ERIC (August 1, 2017). "Lyft's New Taco Bell Promo Stinks Worse Than an Old Burrito". Fortune. Archived from the original on October 22, 2017. ^ "Taco Bell to Take 'National Taco Day' Global This Year". Food & Wine. Retrieved September 25, 2018. ^ Sacks, Brianna (August 18, 2014). "Taco Bell is latest chain to offer a dollar menu". Los Angeles Times. Archived from the original on August 24, 2014. Retrieved August 25, 2014. ^ Tuttle, Brad (August 18, 2014). "Taco Bell Breathes New Life Into Fast-Food Dollar Menus". Time. Archived from the original on August 24, 2014. Retrieved August 25, 2014. ^ a b Patton, Leslie (August 15, 2014). "Taco Bell to Introduce Dollar Menu Nationwide". Bloomberg. Archived from the original on August 26, 2014. Retrieved August 25, 2014. ^ a b Lutz, Ashley (August 15, 2014). "Taco Bell Dollar Menu New". Business Insider. Archived from the original on August 26, 2014. Retrieved August 25, 2014. ^ Little, Katie (August 23, 2014). "These restaurant items cost only $1". CNBC. Archived from the original on August 26, 2014. Retrieved August 25, 2014. ^ Allen, Alex. "KFC and Taco Bell might start delivering to your home". Digital Journal. Archived from the original on June 2, 2015. Retrieved June 2, 2015. ^ Horovitz, Bruce (August 15, 2014). "Will new Taco Bell dollar deals chew up competition? - America's Markets". USA Today. Archived from the original on August 26, 2014. Retrieved August 25, 2014. ^ Velasco, Schuyler (August 21, 2013). "10 fast foods that have disappeared: 3. Bell Beefer". The Christian Science Monitor. Archived from the original on March 12, 2014. Retrieved March 11, 2014. ^ Swift, James. "A Tribute to Taco Bell". Retrojunk.com. Archived from the original on June 23, 2015. Retrieved June 16, 2015. ^ "Taco Bell's maiden Indian outlet opening at Mantri Square mall". Imagesfood.com. January 1, 2010. Archived from the original on March 14, 2012. ^ Zuhair, Zahara (July 18, 2017). "Mexican restaurant chain Taco Bell opens first outlet in Sri Lanka". MirrorBusiness. Archived from the original on July 20, 2017. Retrieved August 7, 2017. ^ a b Matayoshi, Ryugo (April 20, 2015). "タコス屋｢タコベル｣は日本をどう攻める？". Toyo Keizai. Archived from the original on April 24, 2015. Retrieved April 30, 2015. ^ "米人気ファーストフード「タコベル」、日本に再上陸　来月、渋谷に". with news. March 30, 2015. Archived from the original on May 2, 2015. Retrieved April 30, 2015. ^ Matayoshi, Ryugo (April 20, 2015). "タコス屋｢タコベル｣は日本をどう攻める？". Toyo Keizai. Archived from the original on April 24, 2015. Retrieved April 30, 2015. ^ "We Want Taco Bell- EV Boyz". YouTube. July 29, 2009. Archived from the original on October 19, 2013. Retrieved August 16, 2011. ^ "Funan DigitaLife Mall". Funan.com.sg. Archived from the original on August 31, 2009. Retrieved February 9, 2010. ^ Jacobs, Marc; Scholliers, Peter (2003). Eating out in Europe: picnics, gourmet dining, and snacks since the late eighteenth century. Berg Publishers. pp. 306–307. ISBN 1-85973-658-0. ^ "Yankee retreat". CatererSearch. July 26, 2001. Archived from the original on June 16, 2009. Retrieved February 9, 2010. ^ "Compass pilots Taco Bell unit". CatererSearch. September 29, 1994. Retrieved February 9, 2010. ^ "Has anyone ever seen a Taco Bell in England?? – Pale Cast of Thought (blog)". June 8, 2004. Archived from the original on December 23, 2012. Retrieved June 18, 2010. ^ a b Adamy, Janet (November 19, 2008). "Yum Brands Bets on Taco Bell To Win Over Customers Overseas". The Wall Street Journal. Archived from the original on February 15, 2018. Retrieved February 9, 2010. ^ a b Chesters, Laura. "KFC and Taco Bell gain appetite for UK". Property Week. Retrieved February 9, 2010. ^ "Food chain to premiere at Lakeside". Thurrock Gazette. May 27, 2010. Archived from the original on July 18, 2011. Retrieved May 28, 2010. ^ "Horsemeat scandal: Four new products test positive". BBC News. March 1, 2013. Archived from the original on March 2, 2013. Retrieved March 3, 2013. ^ "Taco Bell to open first Scottish restaurant next month". STV News. Archived from the original on November 14, 2017. Retrieved April 27, 2018. ^ "Taco Bell tulee Suomeen – palkkaa satoja työntekijöitä". Ilta-Sanomat (in Finnish). June 15, 2017. Archived from the original on June 15, 2017. Retrieved June 15, 2017. ^ "Suomen ensimmäisen Taco Bell -ravintolan avaamista edeltää juhlahumu Helsingin keskustassa" (in Finnish). STT Info. October 19, 2017. Archived from the original on October 19, 2017. Retrieved October 19, 2017. ^ Nafn. "2nd location in Iceland". Tacobell.is. Archived from the original on January 25, 2009. Retrieved February 9, 2010. ^ Marica, Irina (July 11, 2018). "Taco Bell opens third restaurant in Bucharest, seaside city next". Romania Insider. Archived from the original on July 26, 2018. Retrieved September 6, 2018. ^ Marica, Irina (October 2, 2017). "Taco Bell opens first restaurant in Romania on October 12". Romania Insider. Archived from the original on October 30, 2017. Retrieved November 2, 2017. ^ "Taco Bell News – Taco Bell To Open First Cyprus Store By December". The Franchise Mall. September 13, 2009. Archived from the original on June 18, 2015. Retrieved June 2, 2015. ^ "Taco Bell" (in Greek). Athensmetromall.atcom.gr. 2010. Archived from the original on December 16, 2010. Retrieved January 2, 2011. ^ Bouras, Stelios (November 4, 2010). "New mall in recession-hit landscape". Kathimerini. Archived from the original on January 14, 2013. Retrieved January 2, 2011. ^ "Taco Bell". Kathimerini (in Greek). 2012. Archived from the original on December 28, 2013. Retrieved December 28, 2013. ^ "Taco Bell Nederland" (in Dutch). Taco Bell. Archived from the original on April 5, 2017. Retrieved April 4, 2017. ^ "Opnieuw zet Amerikaanse foodketen voet op Nederlandse bodem" (in Dutch). Taco Bell. Archived from the original on April 4, 2017. Retrieved April 4, 2017. ^ "Taco Bell Netherlands – Live Mas". tacobell.nl. Archived from the original on February 14, 2018. Retrieved February 13, 2018. ^ a b "Nuestros Restaurantes". tacobell.es. Archived from the original on April 29, 2017. ^ Schonauer, Scott (April 3, 2004). "Taco Bell, KFC Express set to open at Rota". Stars and Stripes. Archived from the original on January 9, 2010. Retrieved February 9, 2010. ^ "Taco Bell se estrena en España en el madrileño Islazul" (in Spanish). Franquiciashoy.es. December 18, 2008. Archived from the original on July 20, 2011. Retrieved February 9, 2010. ^ "Taco Bell abrirá 10 locales en España en 2015". Expansion. Archived from the original on August 8, 2015. ^ Adamy, Janet (November 19, 2008). "Yum Brands Bets on Taco Bell To Win Over Customers Overseas". The Wall Street Journal. Archived from the original on April 4, 2015. Retrieved February 9, 2010. ^ "Store Locator". Taco Bell. Archived from the original on April 18, 2015. Retrieved April 20, 2015. ^ Peter, Sacha (April 1, 2011). "Priszm Income Fund Declares Bankruptcy". Divestor. Archived from the original on July 7, 2012. ^ "TSX Delisting Review – Priszm Income Fund (QSR.UN and QSR.DB)" (Press release). TMX Group. CNW. April 6, 2011. Archived from the original on June 17, 2015. ^ "Company News; Pepsico Opens A Taco Bell In Mexico City". The New York Times. June 5, 1992. Archived from the original on December 18, 2007. Retrieved August 16, 2011. ^ "Taco Bell makes a run across the border – Food Inc". MSNBC. October 9, 2007. Archived from the original on March 9, 2009. Retrieved February 9, 2010. ^ "Quiebra Taco Bell en México" (in Spanish). MSN. Archived from the original on October 1, 2011. Retrieved August 16, 2011. ^ Adams, Christopher (November 21, 2013). "Taco Bell back on menu for NZ". The New Zealand Herald. Retrieved June 2, 2015. ^ "The Taco's Out of the Bag" (PDF). September 13, 2017. Archived (PDF) from the original on September 23, 2017. Retrieved September 22, 2017. ^ Crockford, Toby (November 4, 2017). "Superfan flies from Sydney for opening of Australia's first Taco Bell in Brisbane". Brisbane Times. Archived from the original on November 5, 2017. Retrieved November 5, 2017. ^ Cartwright, Darren (November 2, 2017). "Taco Bell Annerley, Brisbane: Secret tastings in lead up to grand opening". The Courier-Mail. Retrieved November 5, 2017. ^ Mitchell, Sue (October 4, 2018). "Collins Foods to open 50 Taco Bell restaurants in Australia". The Australian Financial Review. Retrieved October 4, 2018. ^ "Company – Yum! Brands". www.yum.com. Archived from the original on October 18, 2017. Retrieved February 13, 2018. ^ "Taco Bell Brasil – Live Mas". tacobellbrasil.com.br. Archived from the original on February 13, 2018. Retrieved February 13, 2018. ^ "Taco Bell Colombia – Live Mas". tacobellcolombia.com. Archived from the original on February 14, 2018. Retrieved February 13, 2018. ^ "Restaurantes". Taco Bell Guatemala. Archived from the original on November 12, 2012. Retrieved October 18, 2012. ^ "Taco Bell El Salvador | No solo de pan vive el hombre". Tacobell.com.sv. Archived from the original on October 8, 2012. Retrieved October 18, 2012. ^ McCarthy, Kelly (October 12, 2017). "Taco Bell launches limited edition clothing line with Forever 21". ABC News. Archived from the original on March 22, 2018. Retrieved March 22, 2018. ^ Strutner, Suzy (October 11, 2017). "Taco Bell Just Released A Fashion Line, And It's Kind Of Amazing". The Huffington Post. Archived from the original on March 22, 2018. Retrieved March 22, 2018.